Your objective is simple; to run an event which is enjoyed by all who attend it, and which is remembered for all the right reasons. At the back of your mind though you know that there is the ever-present risk of accident or sudden illness, which can affect either your staff or visitors. Naturally you want to ensure that you have medical cover in place to deal with such problems calmly and professionally, and with minimal disruption to your event. You also want the reassurance of knowing that the medical cover you have organized is the best available, and meets the ever-increasing number of guidelines and regulations in place. This is where STAT Response comes to your aid; we pride ourselves on providing a comprehensive and professional service to event organisers. We tailor our service to the specific needs of your event, leaving you secure in the knowledge that, should the worst happen, you have the support of a highly trained team ready to come to the aid of your staff and visitors. We believe that provision of quality emergency medical services demonstrates to your staff and visitors that you genuinely care for their health and well-being. At STAT Response we can provide you with the complete package of emergency medical services, right through from the planning stage to after action review. We can supply all your emergency medical requirements, from a single emergency medical responder to an ambulance, sports medicine technicians and more. We are not a private ambulance service; like you we are event industry professionals, who share your priorities and understand the pressures of special events. We are fully conversant with Washington State Emergency Medical Service Protocols, and are happy to work to the specific requirements of any event governing body. We are very happy to work alongside other public safety officials and healthcare providers to ensure a comprehensive and integrated medical provision for your event. Originally founded in 1999 as Eastside Medical Services, STAT Response is owned and operated by Shane Roeder, EMT, and managed by an experienced staff of pre-hospital professionals. 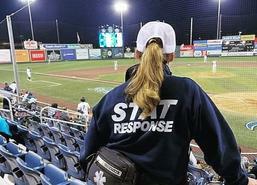 STAT Response is committed not only to providing the finest quality emergency services and training, but to employing persons who embody the foremost characteristics of a first response professional. We believe that in order to provide the best for our customers and students, an employee must be in a challenging work environment, and rewarded well for their toils. Our employees are the faces of our company -- providing not only physical and mental care -- but acting compassionate, empathetic and professional. 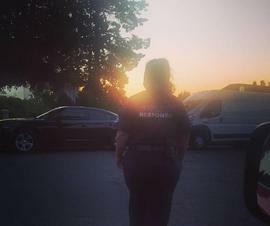 In essence, the "service" in Emergency Medical Services is not really a ride to the hospital or the quick bandaging of an injury at the county fair, but the emotional and physical care given by an employee to someone who is sick or injured. 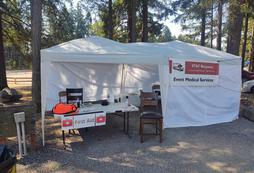 In addition, STAT Response is locally owned and operated. Many of our employees -- including much of the management team -- have worked for large national ambulance services and felt that the care they were forced to provide was not good enough for their friends and families. At STAT Response, we see ourselves as a vital part of the community that helps people when they are most in need. In fact, the owner of STAT Response may just be the one to treat your injuries or illness or teach your first aid / CPR course.